This serene Adult Bird LoveUrns® evokes the feeling of Love. Buy another matching one for a beautiful pair of urns. 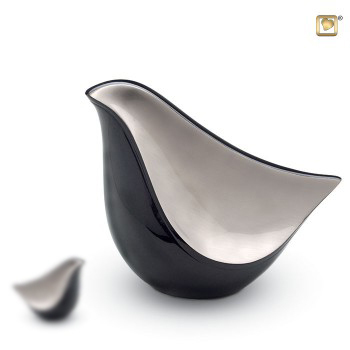 Handcrafted in solid brass, it curves softly, in Brushed Pewter with Midnight Color. This Urn can be engraved on the Pewter front.